The thermoplastics materials industry uses the Melt Flow Index (MFI) as a basic tool for quality control and acceptance of incoming products. The measure of the flow properties is contained on the identity card, and is used as a check to verify if the plastic's grade is within the required fluidity range. This is commonly used for polyolefins (polyethylene HDPE, LDPE, LLDPE, and polypropylene PP). According to ISO 1133 and ASTM D1238, the MFI is the weight of polymer melt flowing out from a standard die (2.095 x 8 mm) at a given temperature and with a standard weight applied to the piston, which pushing the sample. ISO 1133 specifies two methods for testing: Procedure A is a manual mass-measurement method, in which timed segments of the extrudate are weighed with a balance after the test to determine the melt mass-flow rate (MFR). This is expressed in g/10 min. Procedure B is a displacement-measurement method, based on the measure of the piston displacement by means of an encoder. The result is the melt volume-flow (MVR) rate. Expressed in cm3/10 min, it is the average data of the different encoder acquisition points. The melt density is also measured and used to calculate the related MFR. We suggest using the MVR measurement when comparing filled with unfilled thermoplastics, as well as when comparing materials of different filler content. When asked to offer a solution for measuring the melt flow properties of a Polyproylene in accordance to ISO 1133 Procedure B, we recommended our CEAST Modular Melt Flow Tester. We equipped the test instrument with an encoder, a motorized weight lifter for automatic weight application after a selected time, and automatic cutting of the extrudate to easily measure the melt density. 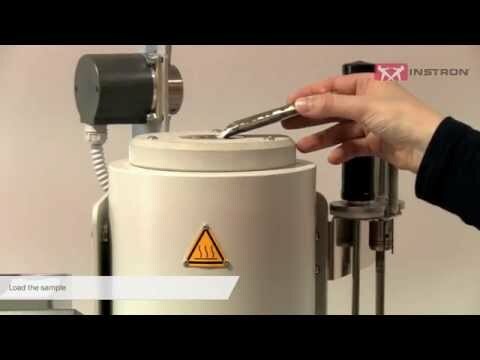 Due to the high fluidity of this type of material, we recommend blocking the die exit with a Die Plug accessory, to prevent drool of the molten sample before starting to measure. Additionally, we suggested using a 40 measurement points acquisition of the encoder to obtain a high accuracy of the results. This allows the customer to get a reliable measure, even with a high sample fluidity, giving a MFR value equal to 102.55 g/10 min. At the end of the test, we recommend cleaning the instrument thoroughly with our automatic barrel cleaning device to reduce the testing time and to optimize the quality control process. For chemically aggressive materials, such as PVC or Fluoropolymers, we developed a special corrosion resistant kit (barrel, die, piston) that can be provided with all our instruments.